Looking for something to do while visiting the Durango area? The Woodhouse Day Spa is the destination for relaxation on your vacation! Enjoy exquisite views of the Animas River from our Quiet Room or sip mimosas and wine on our rooftop patio, perfect for private events. You’ll see, smell and feel The Woodhouse Day Spa difference as soon as you walk through our doors and experience the luxurious, yet welcoming atmosphere. We’re your destination spa that’s right in your backyard. For any occasion, The Woodhouse Day Spa is a luxurious way to spend a getaway day or weekend with your best gals. While enjoying friend’s company, try one of our signature spa services such as the Minkyti seaweed massage and facial, Signature Hand Retreat, Four-handed Massage and hydrafacials. You’ll be pampered head to toe by our knowledgeable staff. Let us do the planning for you while you enjoy a completely stress-free spa experience with the “Two’s Company” package deal. You and a guest will receive a Swedish Massage followed by an Organic Discovery Facial combined with a warm, Agave Nectar Pedicure. This package is a fabulous way to spend quality time with special friends in the beautiful town of Durango. Right where Camino del Rio intersects with Main Avenue in downtown Durango, you’ll find an unforgettable spa oasis on the Animas river. We’re within walking distance to all that downtown Durango has to offer such as shops, restaurants, galleries and more. If you’re a guest at Purgatory Resort or the Glacier Club fitness center, you’ll be able to receive our massage services at our new locations. You’re sure to love the soothing sounds of the Animas River as you become refreshed and re-energized by our individual spa services. No need to worry about the stress of downtown parking as we have free, ample parking available to our guests. 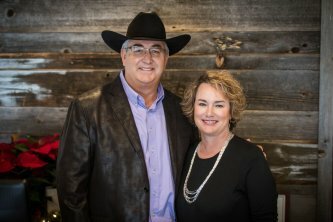 If you’re a husband looking for the right gift or a busy parent searching for a high quality massage, our spa services are for both men and women! These services are revolutionary forms of massage and relaxation, performed by our professional team. 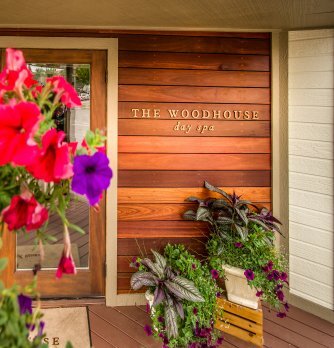 At The Woodhouse Day Spa, our goal is to deliver tranquil services that intricately link wellness and beauty. Because we are a full-service day spa, you’ll be pampered with lush robes, comfortable seating, complimentary beverages and more. For a total well-being and renewal experience, spend a full day with us. Our full-day packages include the best of everything that The Woodhouse Day Spa has to offer such as organic, therapeutic facials, Swedish Massages and other spa classics. The Woodhouse Day Spa makes gift giving simple. Once purchased, your gift card doesn’t expire and can be emailed to you immediately via email or a personalized gift card envelope. Your special someone will get to indulge in relaxation, rejuvenation and enjoy a truly unique spa experience.